Happy Tax Day everyone! I have not yet met anyone who wants to give Uncle Sam more money than is he is legally due. With proper legal planning, most of us can avoid giving Uncle Sam an inheritance when we die. Good News #1: There is no estate tax (also called a death tax) in Missouri. This is an amazing benefit of living in our great state. We do have neighbors in Illinois and other states that have to spend a lot of time and energy worrying about estate tax. Good News #2: Most of us will not have to worry about the federal estate tax. The exemption amounts are approximately $11 million for a single person and $22 million for a married couple. Therefore, if you will have under $11 million dollars in assets when you pass away, then you do not have to worry about the federal estate tax. People often consider giving away or transferring property while they are still alive. There are some very real consequences that can occur if you transfer property before you die. Remember, most of us will not have a tax problem if our families inherit property from us. However, if you transfer property before death, your family can get hit with some hefty taxes. For example, if you transfer your real estate to your child before you die, that child will have to pay capital gains tax on the appreciation of the value of that real estate (the difference between the value of the property when you acquired it and the value now). The other major pitfall is that often times people will attempt to transfer property in order to qualify for Medicaid benefits. However, when completing a Medicaid application, the government is going to look back 5 years from the date of that application. If you transferred or gave away property within those 5 years, that property could be counted for purposes of that Medicaid application as property you still own and could disqualify you from receiving those government benefits. If you name one family member as a beneficiary on a life insurance policy, investment account, or other asset, if done properly, the individual will own that asset on your death without having to go through the probate court process. People often do this and then trust that the person named will share that asset with other family members. However, this can trigger gift tax problems. Let’s consider an example. Suzy names her daughter Colleen as the beneficiary on her life insurance policy. The death benefit on the policy is $300,000. When Suzy passes away, Colleen collects the life insurance proceeds. Suzy trusted Colleen to share those proceeds with her sisters Cathy and Chris. Colleen is trustworthy and writes checks to her sisters for $100,000 each. We have now triggered a gift tax issue because Colleen has now gifted $100,000 to each of her sisters. This is in excessive of the federal gift tax exemption amount for 2019 of $15,000 so these gifts can be subject to up to a 40% gift tax. As you can see, these are decisions that should be discussed with your trusted legal advisor and are the very types of situations that I assist families with daily here at MK Legal Planning. This article is a production of MK Legal Planning. Michele Kelsaw, Attorney at Law, MBA, helps clients proactively plan to ensure their wishes are honored throughout life and beyond. We give our clients the confidence to know their loved ones will always be cared for in the way they want by the people they choose. The first step in working with Michele is to schedule a Life & Legacy Planning Session. Contact Michele at (573) 578-2848 or email michele@mklegalplanning.com to find out how you may obtain this session for no charge. 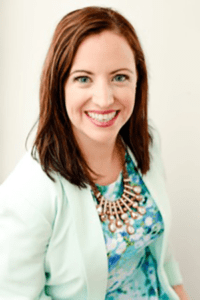 Check out her blog at https://www.mklegalplanning.com/blog or email us to be added to her weekly email newsletter. The choice of a lawyer is an important decision and should not be based solely upon advertisements. This publication is for informational purposes. Nothing in this publication is legal, financial, or tax advice. 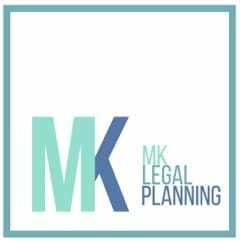 MK Legal Planning recommends that you consult with an accountant or other tax professional in conjunction with an attorney to form an advisory team. This publication does not create an attorney-client relationship with the firm or its attorney. © 2019 MK Legal Planning. Save Money by Keeping Your Goals in Plain Sight! Ugh… Are People Still Using Facebook? Why Should I Host or Attend a Ribbon Cutting? Monday-Friday: 8:00 a.m. – 4:30 p.m.
© 2019 Rolla Area Chamber of Commerce. All rights reserved.